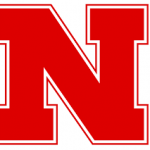 The 4th-ranked Nebraska volleyball team will close out the non-conference portion of their schedule by hosting the Husker Invite this weekend at the Bob Devaney Sports Center. The Huskers will play Central Michigan on Friday at Noon and New Mexico on Friday at 7:30 p.m. The tournament concludes with the Huskers playing Missouri State on Saturday at 7:00 p.m. The Huskers open Big Ten play next weekend with home matches against Michigan and Michigan State.